To meet its pledge to halt deforestation, the European Union needs to act to reduce the deforestation footprint of the commodities it imports, including palm oil. 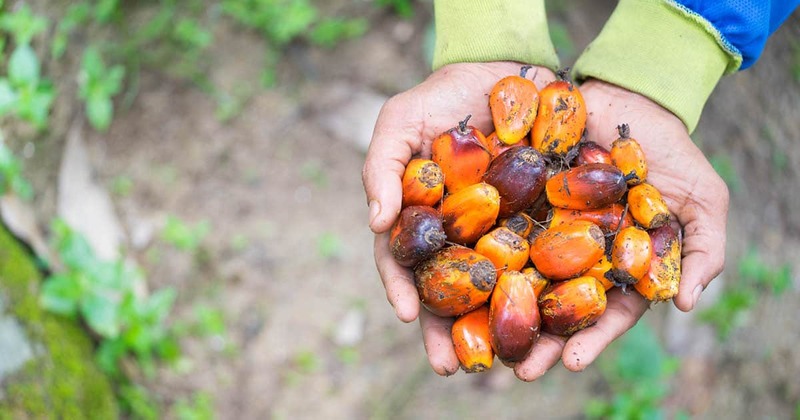 Palm oil is a cheap, readily available vegetable oil found in thousands of products from soaps and cosmetics to foodstuffs but has been widely linked to deforestation, illegal logging, human rights abuses and biodiversity loss – and the EU is one of the world’s biggest consumers. Existing methods to reduce and remove the negative environmental and social impacts of palm oil, such as certification schemes, have failed to stop deforestation sufficiently and to live up to the promise of ‘sustainability’. New standards of sustainability incorporating ‘no deforestation’ have been adopted through voluntary private sector commitments, which could enable the EU to meet its targets. However, in the new briefing In Our Palms, we argue that the lack of uniform adoption, standardisation and implementation of such corporate commitments threatens their potential. We strongly believe the EU needs to act now in the form of regulatory measures – because without them, its markets remain wide open to palm oil and other commodities that have triggered deforestation, crime and human rights abuses. Among the recommendations we make in the briefing are that the EU should implement new market regulation requiring commodities placed on its market, including palm oil, to comply with the new accepted norms of sustainability, including the principle of ‘no deforestation’. We also urge the Roundtable on Sustainable Palm Oil to embrace higher principles and criteria of sustainability, as well as better implementation, including ensuring ‘no deforestation’.